Refrigerant color codes are useful for us to recognize the type of gas that is stored in the cylinders. The name of the gas are usually labelled on the cylinders as an added aid so that we will not make any mistakes in recognizing them. Putting the wrong gas into our air conditioning systems can damage the compressors. Take note that in the future, all CFCs and HCFCs will eventually be phased out due to their effect on the ozone layers. 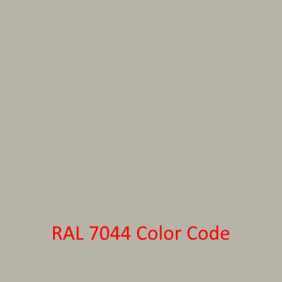 In an effort to reduce confusion over the color codes of all refrigerant containers, the AHRI has announced that all refrigerant will be using the same color code which is light grey/green based on the RAL 7044 Color Code by the year 2020. Hence, the identification by then will be by product markings and labels instead of by color codes as practiced now. See the AHRI 2016 Guideline for Assignment of Refrigerant Container Colors for more details. Light Grey/Green Color on all refrigerant containers by 2020. Light Brown Refrig. 125/143a Replacement for low-temp commercial refrig.